This map is fully enabled for all game types. However it was specifically designed as a race track/stunt course, so it may be somewhat unbalanced for other game types. That being said I did take some consideration for CTF in the design so I should be a good CTF map as well though it may still be found to be slightly unbalanced. My primary focus with this map was to create a polished aesthetically appealing environment that is fun to drive on. I feel I have achieved this goal with reasonable success. 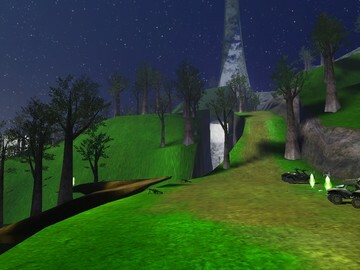 This is my first Halo map so any feedback will be greatly appreciated. 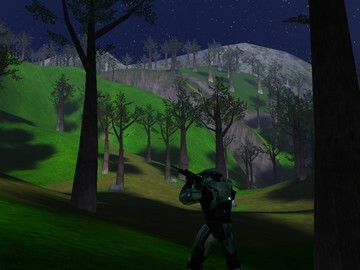 Some slight render clipping in some areas due to the high amount of scenery objects in the environment. This is very slight and causes no gameplay problems so was deemed acceptable for the final release.